When it comes to the morning, most people find themselves in one of two different camps. Either they love waking up early or they don't. 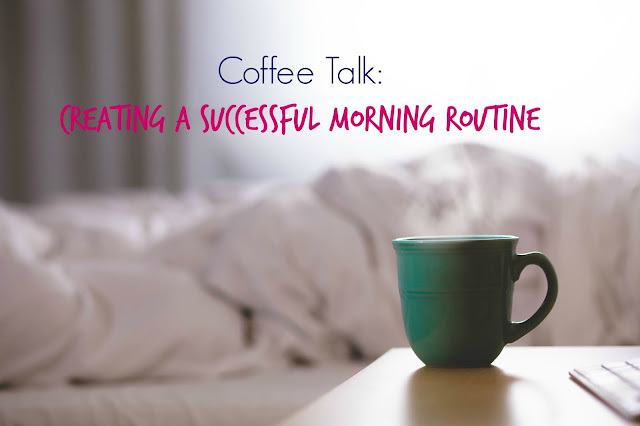 I happen to be one who enjoys the morning hours, and I have created a routine that helps me to start my day off in a positive direction. While you certainly have to find what works best for you, here's a few suggestions from things that I do to begin my day. 1. Respond: Set an alarm. While it's easy to slip back into snooze mode, decide to get up when your alarm goes off. If this is a challenge for you, set two alarms with the first one as your initial wakeup call, and then the second one after a few minutes of planned snooze time. If you don't plan, it's easy to oversleep and then to be rushed. 2. Refocus: Resist the urge to check your phone first thing. I know it's easy to simply scroll as soon as you wake up, but challenge yourself to begin the day screen-free. What has worked for me is to set aside some quiet time in the morning to read, reflect, and journal. While I understand that each person is different, and has different priorities, starting my mornings with some quiet time and devotions is always the set up for a good day. Regardless of what you do, give your eyes a rest from the screen and take in the morning light instead...it's less stressful, trust me. 3. Re-calibrate: Start your day reading your goals out loud to yourself. This may sound strange, but studies show that those who read their goals aloud to themselves have a higher goal achievement and success rate. I have about 8-10 yearly goals that I read aloud every morning, and I can honestly say that this practice actually works. Speak your success into existence! 4. Recharge: Begin the day with some exercise. And...all of the night owl gym goers just collectively sighed. I get it, it's hard to wake up and immediately go for a run or workout. Do it anyway. Working out in the morning revs up the body's metabolism, boosts energy levels, and is one less thing you have to do after work. Stretch, run, do some yoga, or amp things up with a HIIT workout. You can even use the 7 Minute Workout App for a super quick sweat session! Not enough time you say? Perhaps you may need to get up a little earlier...See step 1. 5. Refuel: Eat a good breakfast! Never underestimate the power of a good breakfast. After the body has been rebuilding and restoring itself in the night, it needs fuel to be ready to go again. Too many people skip breakfast and wonder why they can't seem to lose weight, or experience low energy levels throughout the day. There's a reason it's called breakfast. During the night we're sleeping, or fasting, so in the morning, it's time to break the fast and provide the body with nutrition for the new day ahead. If you're not a big breakfast person, there's all kinds of smoothie recipes, nutritious toast combinations, or fruit and yogurt ideas that you can ease your body into. Here's a link to some of my favorite recipe ideas! One final thing: Choose to have a great day, everyday! A big part of starting the day off right is the decision to make it a productive, successful day no matter what happens. A resilient attitude is independent of circumstances and a common denominator of champions. Decide that today is a fantastic day and it will be! What is part of your morning routine?